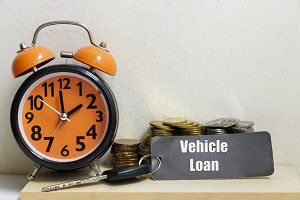 If you’ve ever tried to get motor vehicle finance in South Africa, you’ll know how frustrating it can be when you’re dealing with banks and their long lists of requirements. If you’re self-employed it can be even more difficult, and as a result, competitive car loans are few and far between. Fortunately, there are vehicle rent to own companies, like Earn-A-Car, that provide self-employed people with an alternative way of getting access to own a car with a bad credit history. Vehicle finance in South Africa may not be easy, but at Earn-A-Car it is! Perfect for self-employed individuals, our rent-to-own solution allows you to earn your car in as little as 54 months. All you have to do is meet our simple requirements and you could get instant approval! Be over the age of 25 with at least 5 years of driving experience. Have a valid driver’s license, proof of identification and proof of address. Provide 3 months’ bank statements to prove that your business is receiving payments. Put down at least 20% of the value of the vehicle you would like to buy as a administration fee. Make sure that you can afford a monthly payment of between R3 500 to R6 000 per month. A tracking system to keep your car safe, and more! We’ll even give you cash back for you to spend as you please, making it the perfect alternative for self-employed individuals and those who are trying to get a car with a bad credit rating. For more information on how you can qualify for a vehicle, contact us today!